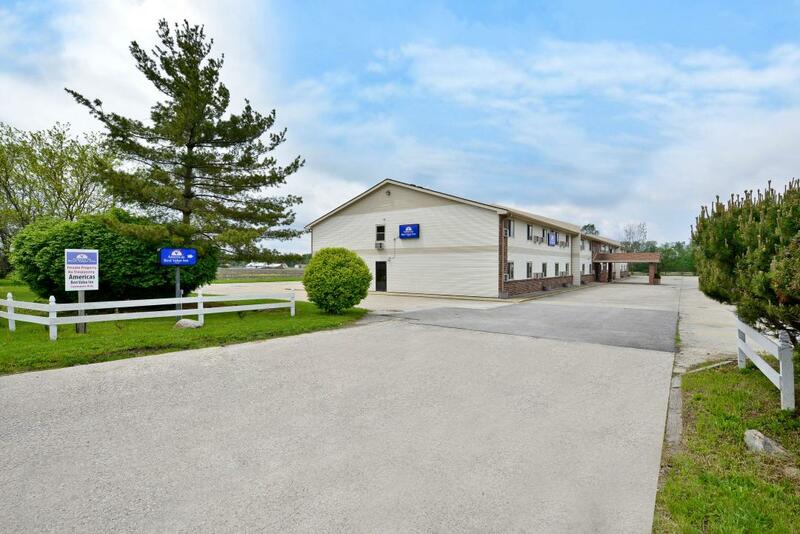 Welcome to Americas Best Value Inn Decatur, conveniently located on I-72 and Highway 36 at exit 133A, close to Millikin University. Decatur is a classic Midwest USA small city situated with homes and park areas facing Lake Decatur, and with many historic brick buildings downtown. Decatur is a college town with tree lined streets and vast industrial and agricultural processing production and is located in the Interior Plains of North America. We are near Rocksprings Nature, less than 5 minutes to Decatur Memorial Hospital, and 4 miles to downtown. We are close to the area's finest golf course just within a half mile and 10 minutes drive time. For an activity the whole family will love, head to the museums and art galleries including the Children's Museum of Illinois. Also nearby are the Tuscola outlet malls and Tuscola Amish Settlement. Learn about the unique culture, craftsmanship and history of the Amish by visiting Arcola, Arthur, Tuscola and Sullivan, known as the Amish country of central Illinois or visit Scovill Zoo for its collection of exotic animals and rides on its mini train. Afterward, enjoy high-octane thrills at Macon Speedway. We are a short drive from attractions in Springfield. Our friendly, 24-hour front desk staff is on hand to help you get the most out of your stay. After a sound sleep on new bedding, rise and shine with free continental breakfast and a free local newspaper. Free Wi-Fi Internet access makes it easy to check email and plan your day. Whether in town for business or pleasure, Americas Best Value Inn Decatur provides comfortable accommodations, affordable rates, and a friendly 24-hour front desk staff to make your stay with us as carefree as possible. For your convenience we offer an on-site guest laundry facility, picnic area, free local calls, and wake-up service. Step into the privacy of your own guest room with amenities including mini-fridge, cable TV with HBO, hairdryer, coffeemaker, and clock radio. Our hotel also offers accessible suites with microwaves. Small dogs weighing 30 lbs or less are welcome for a nightly charge of $7.50. There is a limit of two pets allowed per guest per room. No cats or large dogs are permitted. At Americas Best Value Inn Decatur, We've Got You Covered from the time you hit the road until your head hits the pillow. Free continental breakfast served daily. Sports Zone Sports Grill, 0.4 mi. Casey's Carry Out Pizza, 0.4 mi. Tuscany Steak and Pasta House, 3.5 mi. Check out these Decatur attractions during your stay. Scovill Golf Course, 0.8 mi. Lincoln Square Theatre, 4.4 mi. McGorray's Golf and Grille, 6.4 mi. Spare Time Lanes, 6.8 mi. Red Tail Run Golf Course, 8 mi. Hickory Point Mall, 9.9 mi. Hieronymus Mueller Museum, 3.8 mi. Children's Museum of Illinois, 7.2 mi. World of Powersports Inc, 7.3 mi. Chevrolet Hall of Fame Museum, 7.7 mi. Macon County Historical Society Museum, 9.1 mi. Moweaqua Coal Mine Museum, 19.3 mi.